Every Body's Personal Trainer has extended our in home personal training services to Naples, Miami, Ft. Lauderdale, Orlando, Fort Myers, Boca Raton, Tampa, Sanibel, Marco Island, as well as various other locations in the state of Florida. We look forward to offering the same customer service and professionalism that we have made a reputation for in the state of Maryland, Virginia, and Pennsylvania. 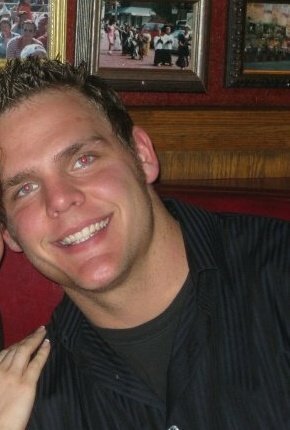 Personal Trainer Jason Horn- In home personal trainer in the Naples/Fort Myers area. One on one personal training involves only you and your personal trainer working together to accomplish your goals. We will tailor a program that is specifically for you. With one-on-one training, we will keep you motivated and accountable by incorporating a number of different types of activities. Some of these activities may include strength training, flexibility training, balance and stability training, boxing, aerobic workouts outdoors, etc. Working with a trainer one on one is much different than having a workout partner. Having a personal trainer will keep you motivated and keep you from becoming bored with your workout program. We are sure that you will enjoy your one on one personal training experience. Group training is a personal training program that consists of 2-4 individuals working out together as a group. Group training is sometimes a nice option in that it will allow you the opportunity to get into shape while having fun with your friends or family. It will enable you to have a support team of your group, as well as your trainer. Group training can instill a nice sense of camaraderie, and sometimes can help with consistency of workouts. Are you an athlete, or prospective athlete, looking to enhance your performance on the playing field? Our personal trainers are highly specialized in working with athletes to achieve peak performance. Let our personal trainers take you to the next level, enhancing your athletic prowess. Physical activity among our nation's youth is more important now than ever. The incidence of childhood obesity has been on the increase since the mid 1970's, and these children often have elevated blood pressure and blood lipids (cholesterol & triglycerides). Muscular strength and endurance of children and adolescents can be vastly improved by participation in a supervised weight resistance, as well as aerobic, training program. Safety precautions must be taken, because children are anatomically, physiologically and psychologically actively developing. Just as important, it is of high priority to create a program that is fun, as well as challenging, to aid in adherence and prevent boredom. Our personal trainers specialize in creating fun, as well as safe, training programs to help your teen improve not only their health, but their overall self-esteem. Sometimes you may just need the assistance of a trainer to enhance your program. Maybe you need some advice on different exercises to use to target a body part. Maybe you are away on business and need a way to workout in your hotel room. 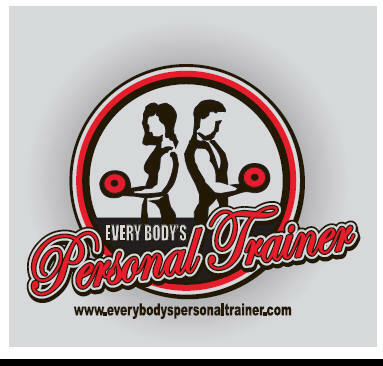 Phone-a-Personal trainer is one on one fitness and nutritional advice from a certified personal trainer. This consultation service is available to you from the convenience of your phone. Have you ever wondered what your body fat percentage is? How it compares to men or women in your age group? Would you like to know what your bench press max is to test your muscular strength? How about circumference measurement and endurance tests? Let our trainers make sure that you are getting the results that you desire. Fitness Assessments are great to ensure that you are making progress in the right direction. We also offer online personal training programs for those who would like to workout on their own with a customized program to follow. Let one of our certified personal trainers write you a fitness program based on your specific goals. All Weights is a personal training program dedicated to learning about resistance, or weight training. The program consists of one-hour solely dedicated to weight training. All Cardio is a personal training program that consists of nothing but aerobic/endurance exercise. Do you hate doing cardio on your own? If you do, this may be the program for you. 6.) Our personal trainers in Florida will make you do cardio!!! Our personal trainers, at Every Body's Personal Trainer, are available for in home personal training at all of the above locations in FL. Have one of Florida's best personal trainers work with you in the comfort of your own home. Our personal trainers in Naples, Fort Myers, Sanibel, Marco Island, Bonita Beach and other locations in Florida will bring the equipment necessary to give you a great total body workout in the convenience of your home. Give us a call today to get started on your path to achieving your goals with one of our in home personal trainers in Florida.